Since 1981 Essent has been providing distributors and wholesalers with comprehensive information management and process workflow automation. 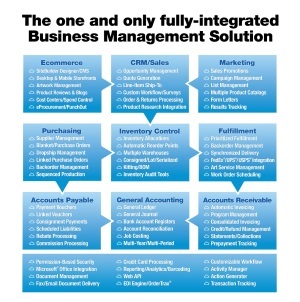 Essent offers fully-integrated, client/server, web-capable solutions for customer relationship management, order entry, inventory control, shipping, returns management, accounting, Electronic Data Interchange, and E-Commerce. Essent has the experience, products, and services to assist your organization in identifying your requirements, providing the missing piece to your Operations Management System puzzle, and implementing an innovative, successful solution, tailored to your organization’s unique needs. With over 30 years of experience, Essent is a recognized leading provider of comprehensive, industry-specific Operations Management Solutions designed to improve the efficiency of your business by implementing innovative, time-tested techniques and technologies – the hardware, software, consulting, and assistance critical for your highly- competitive marketplace.